The company will release three alternative body shapes which reflect curvy, tall and petite body shapes as well as seven different skin tones. Taking into account Barbie’s traditional look, which features a tiny waist, huge blue eyes, and disproportionately long legs, the company has made the move to capture the diversity of women and to appeal to young mothers keen to provide their children with toys that represent them. "We were seeing that Millennials are driven by social justice and attracted to brands with purpose and values, and they didn’t see Barbie in this category," said Tania Missad, Mattel’s director of global brand insights according to The Telegraph. "There will be people who say we haven’t gone far enough, or people who ask what’s next, question our commitment to this,’ Missad said. 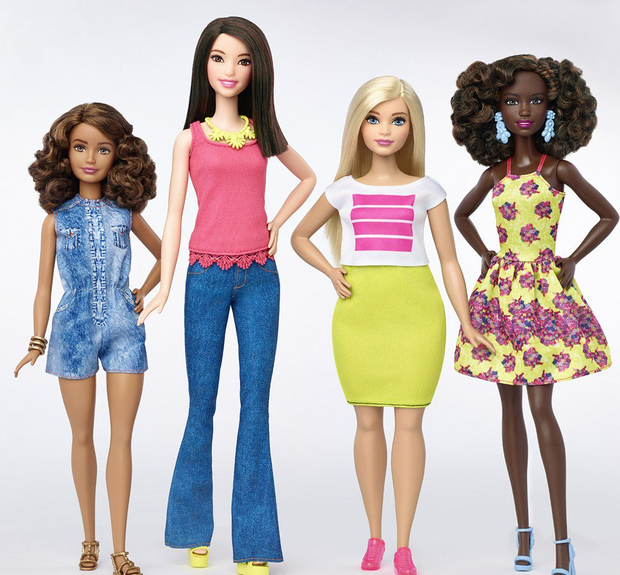 “Barbie is a lightning rod for conversation, and of course there will be a backlash." Although Barbie was first created in 1959, her unattainable figure has altered only moderately in the decades since her creation. Barbie's appearance is seen as unrealistic and unrepresentative by "millennial moms"
The company is hoping the new move will help bring Barbie back to her former status at the top of the toy chart. Barbie has been tossed aside in favour of Disney’s Frozen characters Elsa and Anna is recent years. “Girls still love Barbie,” says Missad.